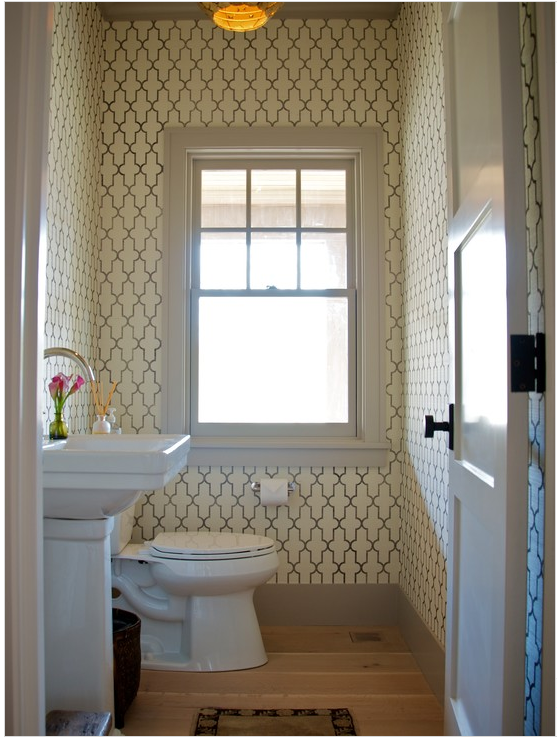 Powder rooms are making a comeback in new construction. Seen frequently in large older homes, they are now being appreciated for just how useful they can be. And we love them because they are the perfect place to add a pop of personality to your home. 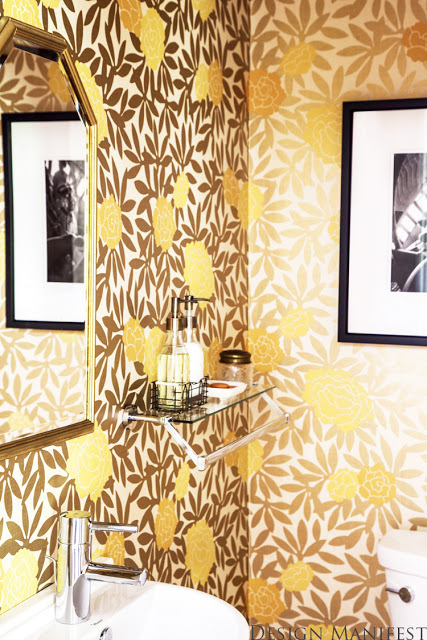 Because they are small spaces, you can choose some higher-end finishes that will go a long way. 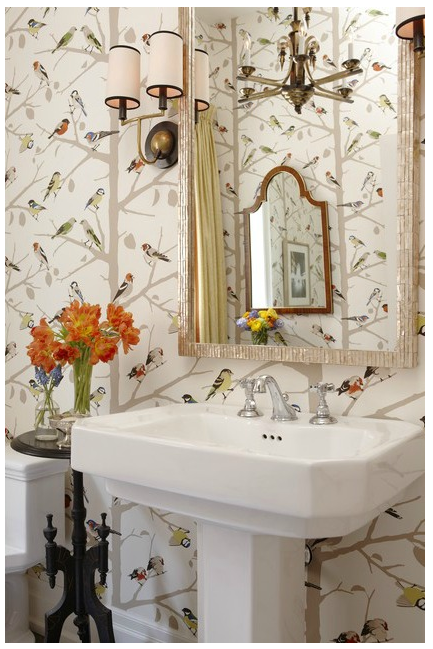 And I don't know if there can be a more fun way to do this than with a fun wall covering. Check out a few of these beauties!